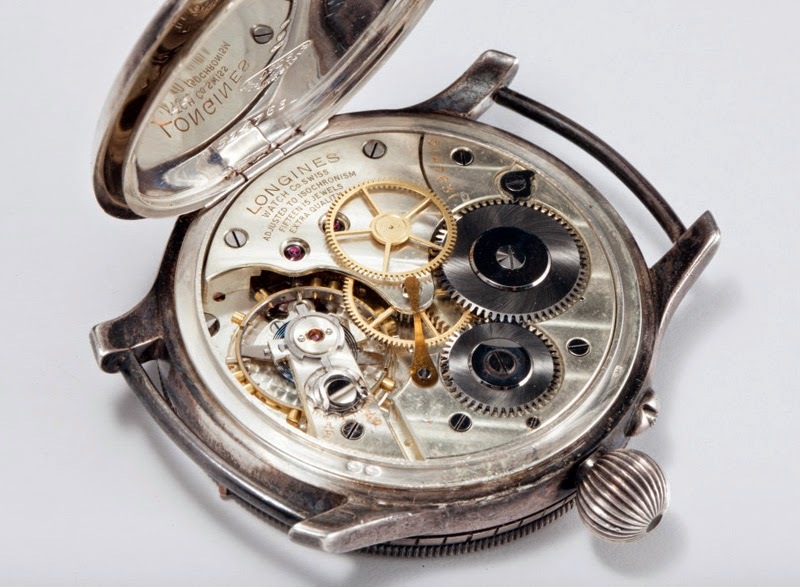 At the end of last year Phillips Auctions announced the creation of a Watch Department dedicated exclusively to the world of fine collectors watches. The Phillips Watch Department has now published the catalogues of the inaugural auctions that will take place on the evenings of 9 and 10 May 2015 at Hôtel La Réserve in Geneva. The auction on Saturday 9 May is dedicated to Rolex Day-Date models with 60 rare examples. 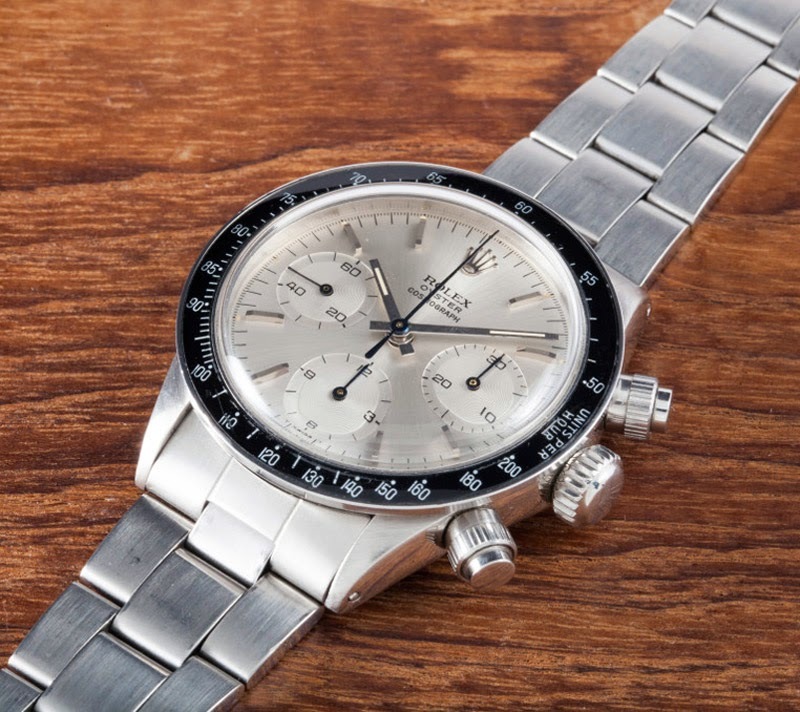 The auction on Sunday 10 May will offer approximately 160 watches of the highest quality and we list here some of its highlights. The leading highlight is an extremely rare Patek Philippe 130 Single Button Chronograph in stainless steel with an off-white silvered dial featuring a pulsations scale and a sector design. The case adopts the so referenced '130 style' and measures 35mm. This watch was previously sold by Christie's in 2005 for the amount of Swiss Francs 1,308,000. Research has revealed that only two examples of this model were sold in 1937 to a retailer in South America; the other is now showcased at the Patek Philippe Museum. Also known as the The Doctor's Wristwatch. Lot #123. Estimate: Swiss Francs 1,000,000 - 2,000,000. Another outstanding lot is the #214, the most renowned of just four known examples of the Rolex Cosmograph Daytona 6263 'The Oyster Albino', characterised by a uniform off-white silvery colour dial in place of the usual, at the time, white on black or black on white dials. This highly unusual reference 6263 dates to 1971 and has its correct caliber 727 movement but also the correct MK1 pushers and bezel for the period. Interestingly, this rare piece was part of the personal collection of Eric Clapton. Estimate: Swiss Francs 500,000 - 1,000,000. 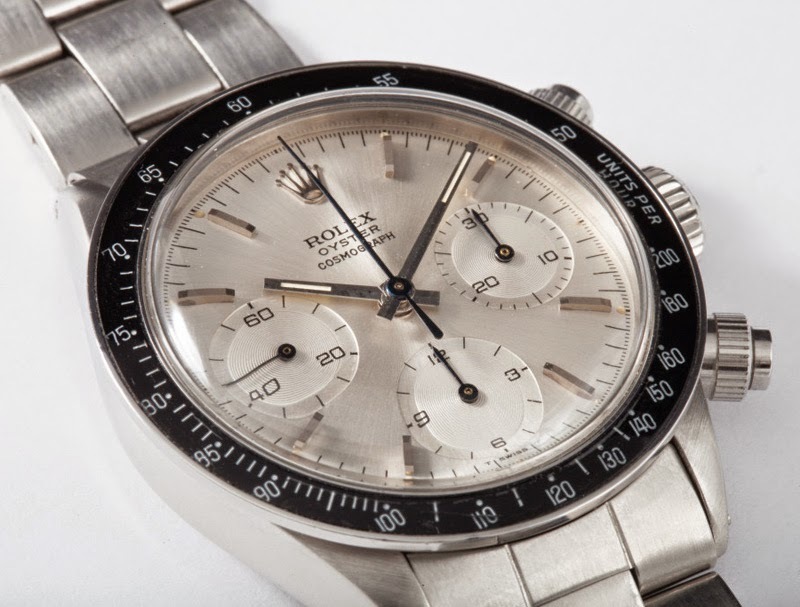 If you love the Daytona, do not miss the "History of the Rolex Cosmograph Daytona". 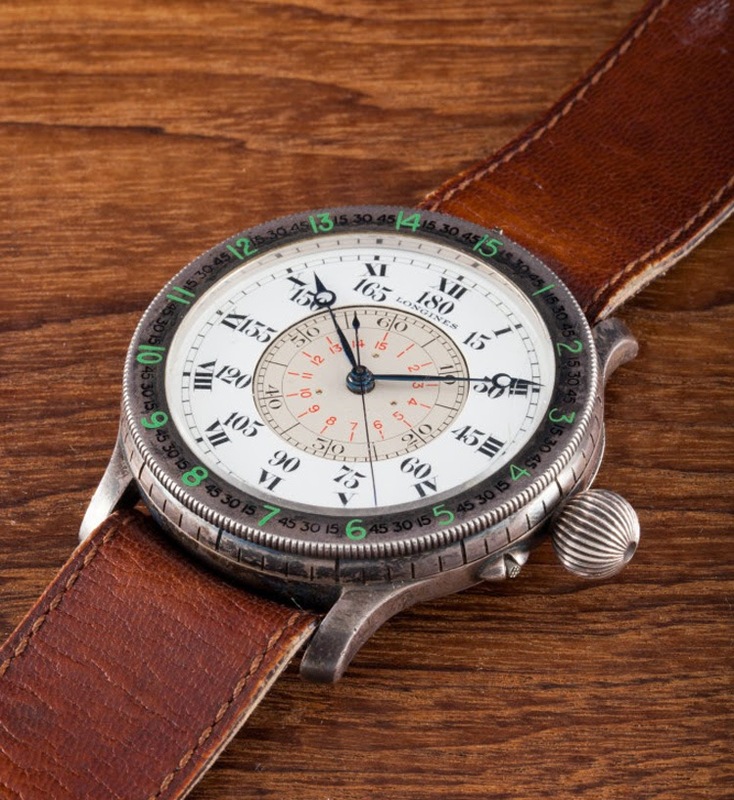 One of the oldest lots on sale is the #86, a Longines dating back to 1931 which was given by Charles Lindbergh to Dieudonné Costes, one of the most famous pilots of the 1920s and 1930s and the first person to fly non-stop from Paris to New York (the opposite direction of what Lindbergh had achieved in 1927). Charles Lindbergh was actively involved with Longines in designing the watch made specifically for aviators with the aim of enabling easy and swift navigation. The Longines Dieudonné Costes Lindbergh Hour Angle is accompanied by letters issued by the descendants of Dieudonné Costes stating that the watch was a personal gift from Lindbergh to the late Dieudonné Costes. Estimate: Swiss Francs 60,000 - 80,000. The Phillips Watch Department has now published the catalogues of the inaugural auctions that will take place on the evenings of 9 and 10 May 2015 at Hôtel La Réserve in Geneva. Patek Philippe 130 Single Button Chronograph in Stainless Steel. Rolex Cosmograph Daytona 6263 "Albino". Longines Dieudonné Costes Lindbergh Hour Angle.